Eulogizing a friend or loved one with flowers may be one of the longest running traditions in the UK; however, that doesn’t make the selection process any easier. When the time comes to make that all important decision, without any prior knowledge, you’ll most likely be at a complete loss. This guide has been written to help you make a more informed choice if you’re searching for a fitting tribute. There are many options available when choosing a flower arrangement for a memorial or funeral. Knowing a little about your choices and what they represent will make the selection process easier and help you to express your condolences in a more suitable manner. The lily is a highly universal flower that’s suitable for any occasion. While they have been given a host of different meanings, they are most commonly used to symbolise restored innocence. The white stargazer lily sub-breed is the most popular choice for funerals. Gladioli can measure up to 4 feet tall and are composed of a stem with multiple flowers. They are a classic and traditional choice for funerals and are often used to convey strength of character and moral integrity. They are available in a wide array of colours. 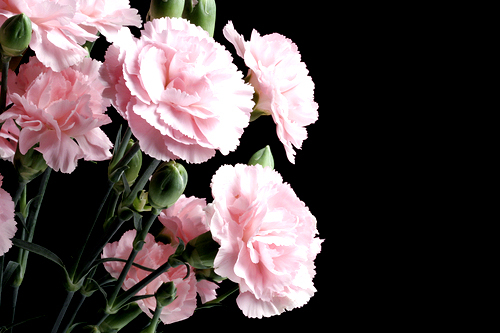 Carnations are commonly used for funerals as they keep for a long time. Pink carnations represent remembrance and white carnations represent pure love, which makes these two colours a very popular choice. 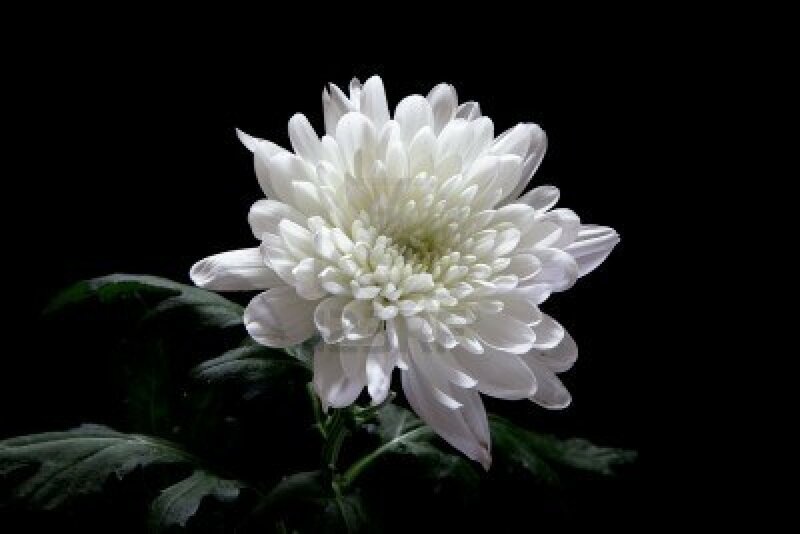 In many countries throughout Europe – such as Spain, France, Poland and Hungry – chrysanthemums are solely used as funeral flowers. In Asia they represent grief, while in the United States they represent truth. Regardless of their symbolism, they are generally believed to be a positive and cheerful tribute. Roses are without a doubt one of the most versatile flowers, as each colour has its own meaning: white represents humility and innocence; red conveys love and respect; pink signifies love and appreciation; dark crimson indicates sorrow; and yellow symbolizes strong ties. A single rose among a bouquet – regardless of colour – expresses enduring love. Peace lily plants represent peace, harmony and innocence after death. Christians view white peace lilies as a symbol of the Virgin Mary; therefore, they are often associated with the Easter holiday and given to those who have lost loved ones during this period. Pink and white orchid plants are the colours associated with mourning and represent eternal love. 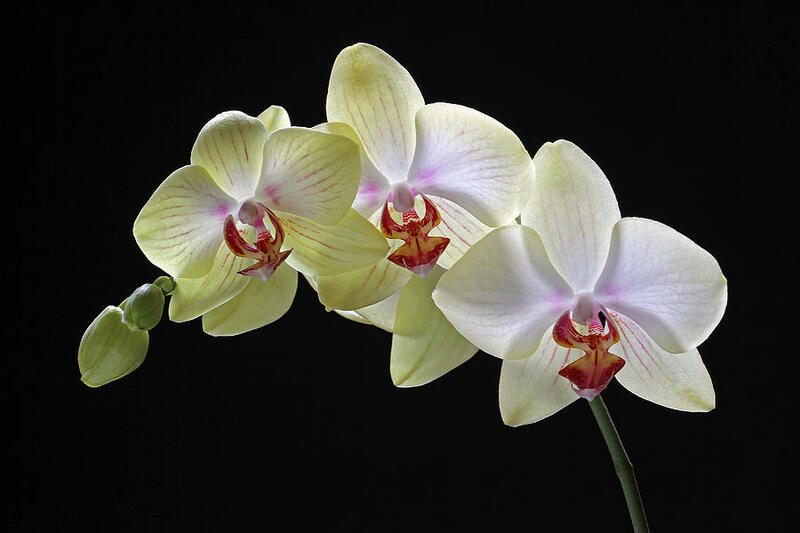 Phalaenopsis and dendrobium orchids are generally the most appropriate as sympathy flowers. Daffodils and tulips symbolise fresh starts. They are believed to bring hope to people going through difficult times. Like roses, tulips come in a variety of colours, each with different meanings: yellow signifies cheerfulness; white represents forgiveness; and red denotes love. Choosing the appropriate flowers for a funeral can give you a sense of closure; however, there are no rules. If you’d rather use a flower or plant that doesn’t convey a message synonymous with grief, that’s perfectly fine. Selecting the flower is only the first step. The visual properties of the arrangement can help strengthen your message. Just like flowers, arrangements have their own meanings and traditions. Inside pieces are placed inside the casket and are generally arranged as corner clusters, sheaves, pillows or crosses. Traditionally they are brought to a funeral home by younger relatives – children, grandchildren, great-grandchildren – of the deceased. Floral baskets can be sent to the funeral parlour, church or home of the bereaved. They are commonly displayed on top of tables or on the ground surrounding the casket. They are available in many shapes, sizes and styles. Casket sprays are placed directly on top of the casket. Full casket sprays are used for closed casket services; while half-casket sprays – which only cover a portion of the casket – are used for open casket services. In most instances they are purchased by the family alone. Standing sprays are displayed on an easel in a prominent position near the casket. They are often the most noticeable feature as they stand between 1 and 3 feet high. In addition, they are usually arranged in the shape of a heart, cross or triangle. Standing sprays are typically sent directly to the funeral home or church. Wreaths are a circular shape that symbolise eternal life and are usually placed on the doors of funeral homes. Unlike other arrangements – which are sent directly to the funeral home, church or the home of the bereaved – wreaths are generally brought to the place of burial. Vases, dish gardens and plants are commonly used as table arrangements for post-funeral events or as a sympathy gift. Visually they can look similar to flower baskets; however, they’re generally much smaller. Knowing a little about your choices will help you find the most suitable arrangement to express your condolences. That said, just like flower selection, there are no rules. If you’d rather use a less conventional flower arrangement, then feel free to do so. Funeral flowers and arrangements should match the deceased’s personality and character. Everyone is unique; therefore, sometimes a specially made tribute is the most fitting. Military flower arrangements often symbolise peace and heroism. Since fallen soldiers are considered heroes, their funerals often acknowledge their service and goals. The most frequently used tribute is the flag motif. Wreaths made from flag colours or clusters in the shape of their branch insignia are also common – but less bold – options. There’s not a more devastating time than when a parent loses their child. Flower arrangements for children aren’t quite as traditional as conventional arrangements, and are usually focused on the deceased’s hobbies and interests, as opposed to conveying a certain message through flower variety or colour. Teddy bears, angels, footballs, guitars – literally anything that the child enjoyed will be suitable. Most florists will be able to create bespoke designs based on your own personal requirements. Most florists will have the skills and tools required to craft almost any design or colour scheme. If you want specialist flowers, speak to them to find out what options are available. Even if they can’t cater to your needs they may recommend somebody who can. Messages accompanying funeral flowers should be written on a note card and kept brief and thoughtful. When you are sending flowers to a relative or close friend, include a separate sympathy card as well. The accompanying message gives you one last opportunity to say your goodbyes and can be a very important aspect of the bereavement process; therefore, take extra special care when selecting your final words. Funeral flower etiquette can vary between different cultures and religions. It’s very important that you understand any customs that you aren’t acquainted with before you attend a funeral. Even though you may think everybody will appreciate flowers, it’s not always appropriate. Protestant funerals celebrate the deceased’s life and place significant emphasis on their afterlife. The minister will usually conduct the service under guidance and with the participation of family and close friends; therefore, they will decide whether they would like flowers or a donation to charity. Appropriate gestures include: sending flowers to the family’s residence; sending flowers to the funeral home; and donating to a charity of the family’s choosing. Before a Roman Catholic funeral the family will hold a vigil (wake), where candles and flowers are used to decorate the casket – this takes place at the church and burial ground. Appropriate gestures include: sending flowers to the family’s home; sending flowers to the funeral home; and sending donations in the name of the deceased to a charity of the family’s choosing. Mormon funerals usually take place at a funeral home or by the graveside and are rarely held inside temples. While flowers are appropriate, arrangements made in the shape of a cross or crucifix, are not, as Mormons believe in the bodily resurrection of Christ. Giving flowers to the deceased’s family before or after the service is acceptable. Flowers are not appropriate in Jewish traditions; however, attendees are highly encouraged to send donations to charity. Jewish burials take place very quickly – usually within 24 hours – after which the family will sit in mourning (Shiva) for seven days. It is customary to take desserts, fruit and food baskets to their home during this time. Buddhist families accept flowers; however, sending red flowers or food is inappropriate. Buddhist funerals are conducted by a monk at a funeral home, and guests are expected to bow slightly as a sign of appreciation. White is worn by the grieving family, while friends wear black. Giving white flowers is a suitable gesture both before and after the service. Whether to send flowers depends on the family’s wishes. Some people believe that because the Islamic faith focuses on simplicity, flowers are inappropriate; however, others may say that it’s okay. If in doubt ask either the family or their religious leader. Hindu funerals usually occur within 24 hours of the death and are conducted by the priest and family members. Mourners are expected to wear casual white clothing and arrive empty-handed. Ten days later another ceremony is held. Fruit is an appropriate gift at this post-funeral ceremony, but not flowers. The last thing you’ll want to do is offend the deceased’s family at the funeral by not showing respect for their faith. In today’s multicultural society it’s not always clear what the cultural and religious boundaries are. If you have any doubts, refer to the obituary as this will often include details that members of other faiths may not be aware of. If it’s still not clear, ask someone else who is attending. Floral design is just like any other form of craftsmanship and a great deal of time and effort goes into ensuring each creation will serve as a viable tribute. When selecting a supplier it’s always best to assess their work in person. Pictures can be deceiving and you’ll get a much better idea of what to expect with your own eyes. Funeral directors and funeral homes will not supply the flowers; however, depending on the funeral plan, they may arrange the order and delivery on your behalf. That said, there will almost certainly be budget restrictions, so if you need more flowers than the plan covers you’ll have to pay extra. In addition, funeral directors and funeral homes will often use the same suppliers over and over again. While this may mean that you’ll get more for your money due to repeat discount, they could be attached to a florist that you don’t like. If you decide to buy funeral flowers directly from a florist without any intermediary, visit and get quotes from at least two or three different suppliers, so you’ll have a better idea how to gauge quality. If in doubt, ask family and friends for recommendations. Poorly crafted flower arrangements could spoil the entire visual aesthetic of the funeral; therefore, it’s imperative that you take control. If you don’t think anybody you’ve contacted will do the funeral justice, consider homemade options instead. Funerals can be arranged very quickly – often within a matter of days. Most florists will require around two working days to prepare casket sprays and at least 24 hours to prepare other arrangements. However, this can vary on the supplier and how much business they have, so the earlier you place your order the better. In most instances when flowers are delivered to a residential address, they will be displayed for those in attendance before the procession leaves for the ceremony. If you require delivery to a residential address, make sure that somebody is available to receive the flowers. You’ll have limited time between the death and a funeral, and you may only have one opportunity to sign for them. Without further instruction the florist may deem it appropriate to leave the flowers outside, which could expose them to a variety of weather conditions. 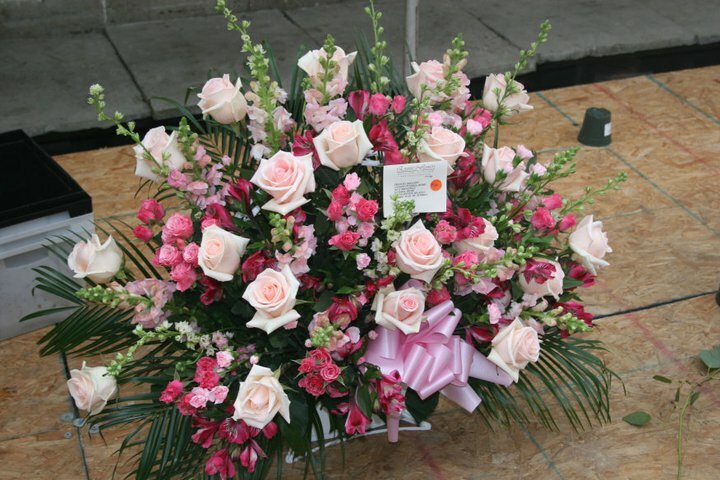 In most circumstances funeral flowers are delivered directly to a funeral parlour prior to the ceremony. This is the recommended option as it will not only save you hassle on the day, but allows the undertakers to arrive at the destination with the flowers and coffin together. Sending flowers directly to a church, crematorium or place of worship is generally not recommended as there is no guarantee that somebody will be available to receive the order. In addition, there could be confusion regarding where the flowers should be stored until the ceremony. Most florists will either deliver your order personally or liaise with the funeral director to arrange the delivery. Fundamentally, they’ll try to provide a smooth and stress free operation. The average cost of a funeral has dramatically risen in recent years. Nowadays it’s not uncommon for the overall price to exceed £7,000. The average cost of flowers is around £140; however, this can vary significantly depending on your supplier, the flowers you select, the arrangement you choose, and the scale of the funeral. Delivery charges may be included in the price if you’re using a local florist. However, if they aren’t included, expect to pay between £5 and £10 extra. Funeral flowers are a non-essential expense; therefore, they aren’t included in most pre-paid funeral plans. However, this can vary depending on the funeral director. Most firms will be more than happy to amend their packages to include funeral flowers, and may be able to get you a better deal. Funeral insurance policies usually pay out a fixed sum. Depending on the other choices you make regarding your ‘essential’ and ‘disbursement’ costs, this figure may cover your flower expenses. Some funeral insurance policies may allow you to organise the funeral at the current price to ensure you don’t suffer losses due to inflation. In these instances funeral flowers probably won’t be covered. Floral tributes need not be expensive. If money is an issue consider picking and arranging the flowers yourself. This will cut down costs and reduce your non-compostable waste. A: There are no restrictions regarding the type of flower you can send. While there are traditions and favourites, you are by no means under obligation to use them. A: Ask your florist for advice. Tell them about the deceased’s personality, sense of humour and favourite colours, etc., and they should be able to customise your arrangement.